Bring lasting comfort and style to your living space when you add this loveseat to your home. 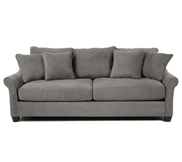 With its classic looking rolled arms and bun feet, this loveseat has a tasteful look. 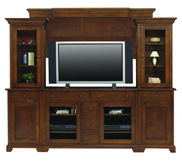 Plus, since it comes in a wide variety of customizable options, you're sure to create the perfect match for your home. Since this loveseat is built to stand the test of time, you'll get to enjoy the perfect match you made for years to come as well, saving you the hassle of having to replace a piece of furniture you already love. The Providence Traditional Loveseat with Bun Feet by Flexsteel at Conlin's Furniture in the Montana, North Dakota, South Dakota, Minnesota, and Wyoming area. Product availability may vary. Contact us for the most current availability on this product. Pillow 3 decorative pillows included with zipper closures, feather filling, and welt. Fiber filling, fringe and/or braid, and flap and/or flange options available. Tailoring Matching welt cords on all pieces, optional contrasting welt cords available. Wood & Finish Florentine wood finish on bun feet, all other wood finish options are available. Seat Support Blue-Ribbon unit features evenly spaced, dual steel ribbons that run along the length of the frame from front to back. 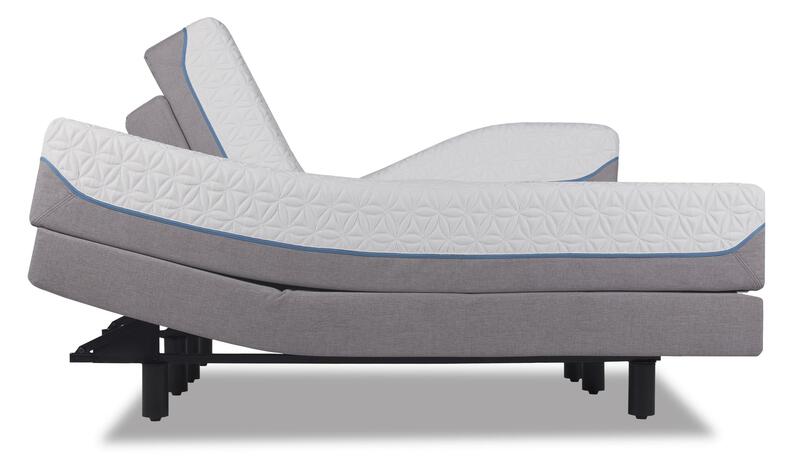 A solid steel arch is riveted to the back end of each ribbon for extra support and a perpendicular steel ribbon bands the entire system together for even more durability. This exclusive, lifetime-guaranteed blue steel seat spring delivers unmatched comfort and durability. And, unlike eight-way hand-tied springs, it never needs retying or replacing to keep you from getting that sinking feeling a few years from now. Padding & Ergonomics Plush cushions feature 2.5lb high-resiliency polyurethane foam topped with 1.2lb density polyurethane recovery foam and fiber wrap. Furnish your home with seating that will last when you welcome this living room collection into your living space. 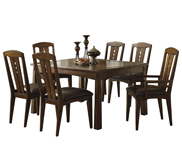 These pieces' lifetime-guaranteed steel and laminated hardwood frames provide them with a sturdy foundation, while their cushions of two complementary kinds of foam provide them with durable comfort. Since this collection is highly customizable, you don't have to worry about matching your home to these seating pieces either. Instead, you can have fun making sure your furniture matches your home, which is the way decorating should feel. 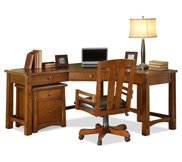 The Providence collection is a great option if you are looking for Traditional Casual furniture in the Montana, North Dakota, South Dakota, Minnesota, and Wyoming area. 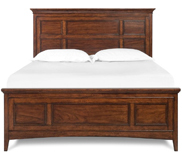 Browse other items in the Providence collection from Conlin's Furniture in the Montana, North Dakota, South Dakota, Minnesota, and Wyoming area.